From bicycles and buses that keep people and goods moving after a disaster to solar energy that keeps businesses running, investments that reduce greenhouse gas emissions are also providing disaster resilience around the world. After the devastation caused by the powerful earthquake that hit Mexico City in September, the city’s bus rapid transit lanes, bike-sharing stations, and parks were crucial to the city’s recovery. 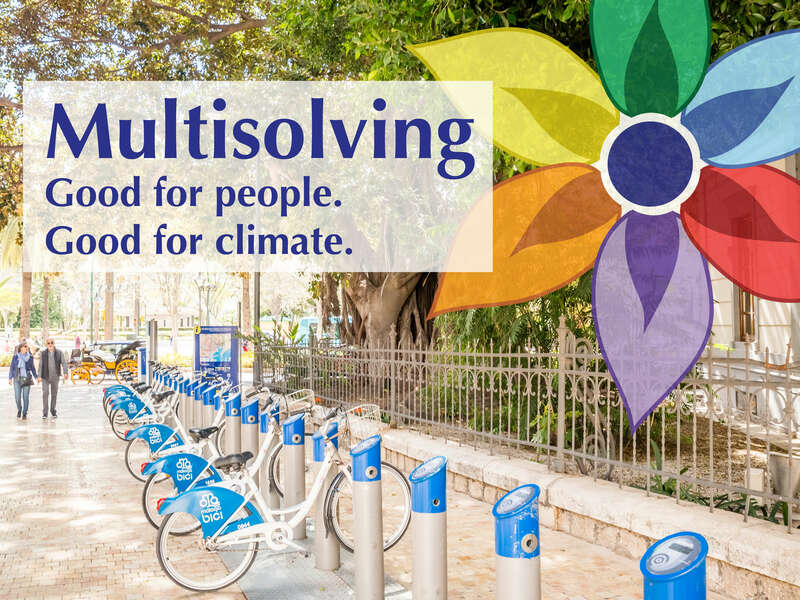 Those three features – public transit, bicycle infrastructure, and green space – are all part of a family of policies known as multisolving – solutions that help reduce or sequester greenhouse gas emissions, but also improve life in other ways. Parks provide gathering spaces while cleaning the air and absorbing CO2. In this case, they improved Mexico City’s earthquake resilience. Bicycles, unlike cars, could weave through obstructed streets without causing chaotic traffic, which allowed them to carry supplies and scout out potentially dangerous areas. Aside from biking and walking, the bus rapid transit lanes were the only way for people to get around, and their services continued to operate at 70% capacity after the quake. Their confined lanes allowed ambulances to move through the city. 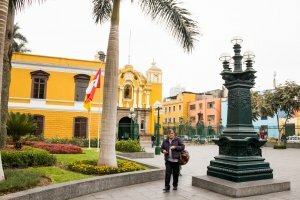 The city’s public parks and squares also provided resilience, offering a safe, open space to gather supplies, coordinate essential services, and check in with loved ones. 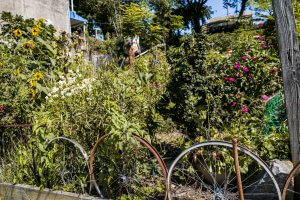 Community gardens improve access to healthy food, reduce pollution from food transport, and connect and beautify neighborhoods. A similar dynamic occurred in Houston after Hurricane Harvey flooded the city. As grocery stores were shuttered and food pantry lines stretched around the block, urban farming and community garden organizations such as Plant It Forward and Urban Harvest coordinated to collect and distribute fresh produce to those who needed it. These sorts of initiatives can help to increase food security even at the best of times, but they are critical during natural disasters, when people lose access to their cars and jobs. Renewable energy is another multisolving investment that can pay off after disasters. Solar panels kept one flower grower in Puerto Rico in business after Hurricane Maria put most of the island in a blackout. While much of the grower’s infrastructure was damaged, solar energy kept the power on and the water pumping. The horticulturalist now hopes that the rest of Puerto Rico will make the same switch, to help its communities bounce back more rapidly. As we wrote in early September, multisolving solutions can soften the impacts of natural disasters ex ante by treating both the disease (i.e. preventing climate change) and the symptoms (reducing flood risk), and thereby making certain natural disasters less damaging. But as these cases show, these policies also build resilience ex post – helping communities recover after the disaster has already taken place. Follow our work on climate co-benefits to learn more.